1 BLUE-EYED SOUL: Lia Menaker will showcase original music from her debut album, “Animal Behavior,” along with several unreleased songs when she performs at the Boulder Dam Brewing Co. on Friday. Part theater, part concert, Menaker’s music blends pop, rock and soul. She has a background in musical theater and has been composing her own songs for the past 15 years. Menaker’s performance begins at 8 p.m. There is no cover charge. The Brewpub is at 453 Nevada Way. Call 702-243-2739 or visit www.boulderdambrewing.com for more information. 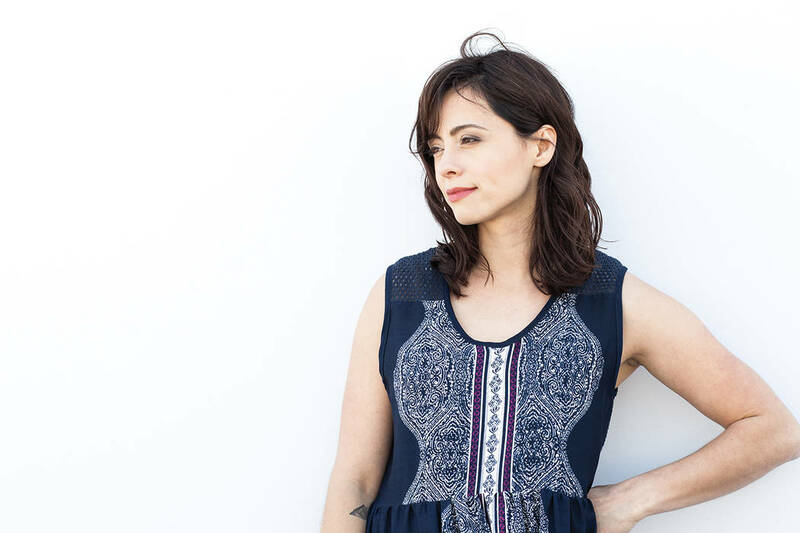 Lia Menaker Singer-songwriter Lia Menaker will bring her &quot;blue-eyed soul&quot; sound to the Boulder Dam Brewing Co. on Friday, Sept. 8, 2017. 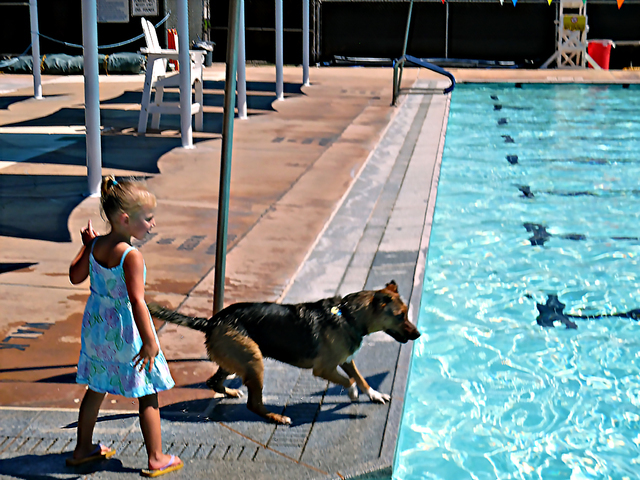 File Harper Dosch played fetch with Charlie, one of the more than two dozen dogs at the Boulder City Pool's second annual Soggy Doggy pool party last year. This year's event begins at 9 a.m. Saturday, Sept. 9. 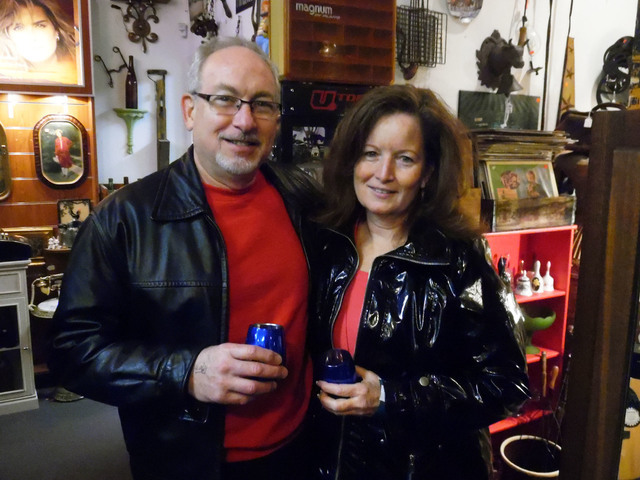 File Boulder City residents Stewart Podel and Robin Bennett were among those attending February's wine walk. After a summer hiatus, the event returns to downtown on Saturday, Sept. 9. 2 MOVIE MADNESS: After a summer hiatus, the Best Dam Wine Walk returns to downtown from 4-8 p.m. Saturday. Those attending are invited to come dressed as their favorite movie character. There will be more than 20 participating locations. Tickets are $25 per person or $45 a couple (receive a $5 discount if you bring a glass from a previous wine walk). Purchase a wine glass at the first stop, Grace Christian Academy, 512 California Ave.
3 THEY’RE ALL WET: Dogs of the community get their day to enjoy some playtime in the pool as Boulder City Municipal Pool hosts its third annual Soggy Doggy on Saturday. The ‘pawty’ gets underway at 9 a.m., with a second session set to begin at 10:35 a.m. The registration fee is $6 per dog. For more information, call the Parks and Recreation Department at 702-293-9286.